The boy runs on the street. The boys run on the street. Same-sounding words are often mistakenly used interchangeably. For example, the word “there”, which can refer to a place, is sometimes used in the context of “their”, which is the possessive form for “they”. Another similar mistake is the use of “its” (possessive form for “it”) and “it’s” (contraction for “it is”). The best way to know that you are using same-sounding words properly is to consult a dictionary. You may also use grammar software for this. You should know how to distinguish between adjectives and adverbs. Adjectives describe nouns, while adverbs describe verbs, adjectives, or other adverbs. Adjectives are not used to describe action words. The best way to improve your grammar is to read a lot. By constantly reading, you will become aware of proper sentence structures. You will also enrich your vocabulary. There are a lot of helpful programs that you can use to achieve perfect grammar - WhiteSmoke is one of them. 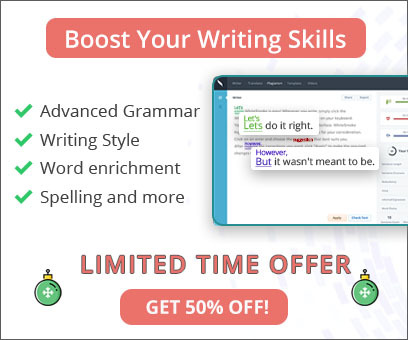 You can employ the use of our online grammar checker or our full grammar software to check if you are using words correctly, if you have proper sentence structures, and if your subject-verb agreement is in place.